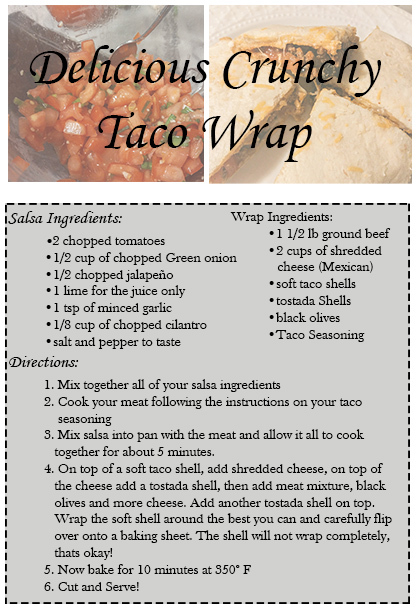 Try this delicious crunchy taco wrap! 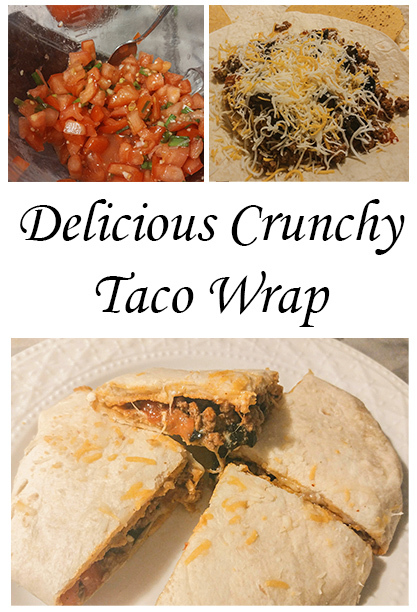 Here is how I came up with my crunchy taco wrap recipe! 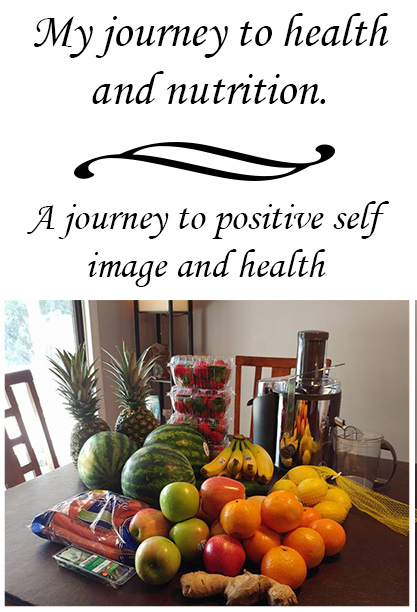 Do you ever look in your kitchen and see a few things that need to be used right away but none of them are really enough to make a whole meal? I had one of those nights! 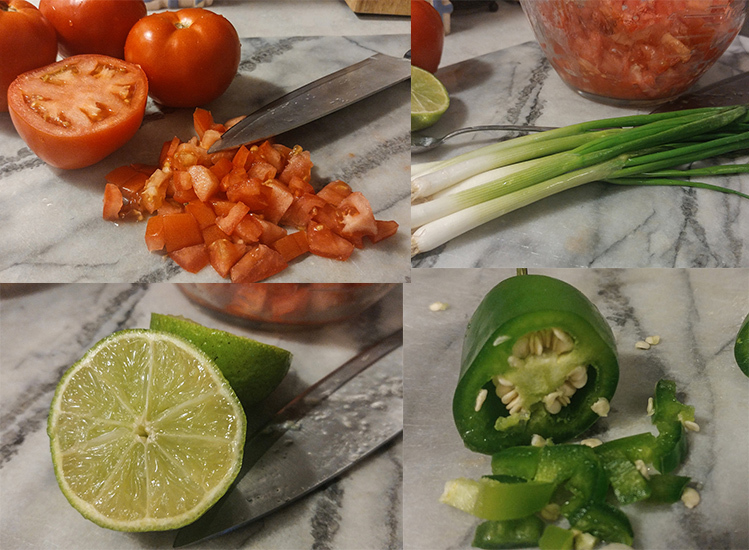 I had a few broken up tostada shells, a few burrito shells, tomatoes, lime, green onions and cilantro all that really needed to be used or they were going to end up being tossed. 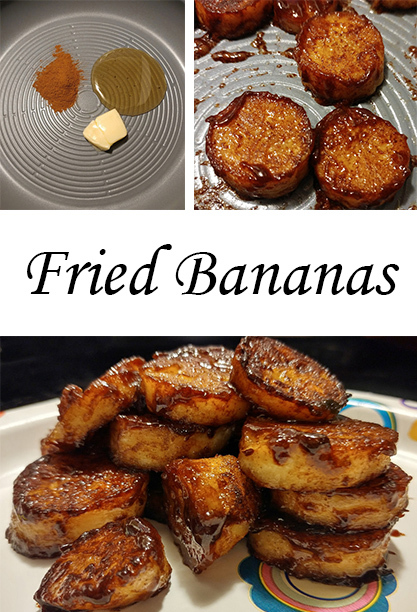 So, I decided to use them! 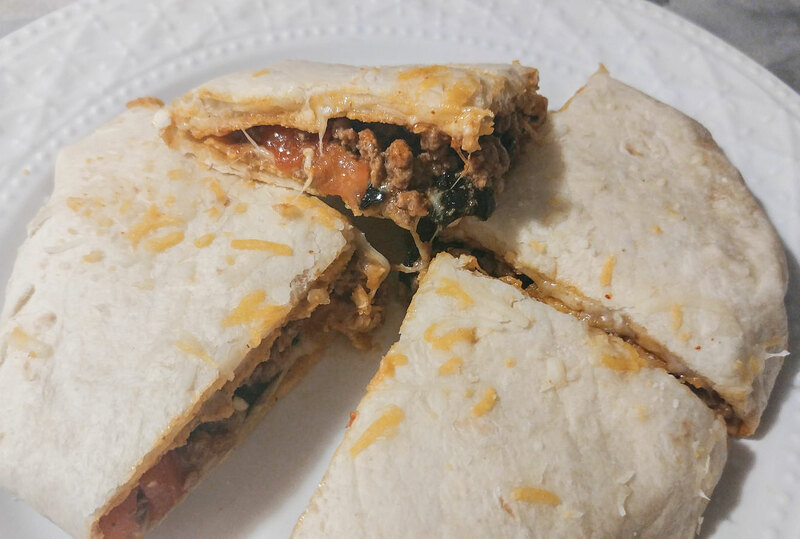 What came out was this amazing crunchy taco wrap….thing…It was delicious!! 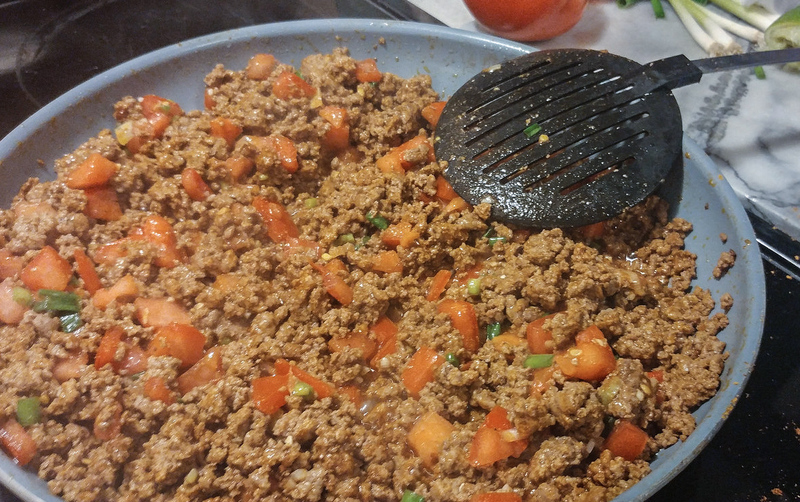 First I took about 1 1/2 pounds of ground beef and browned it. 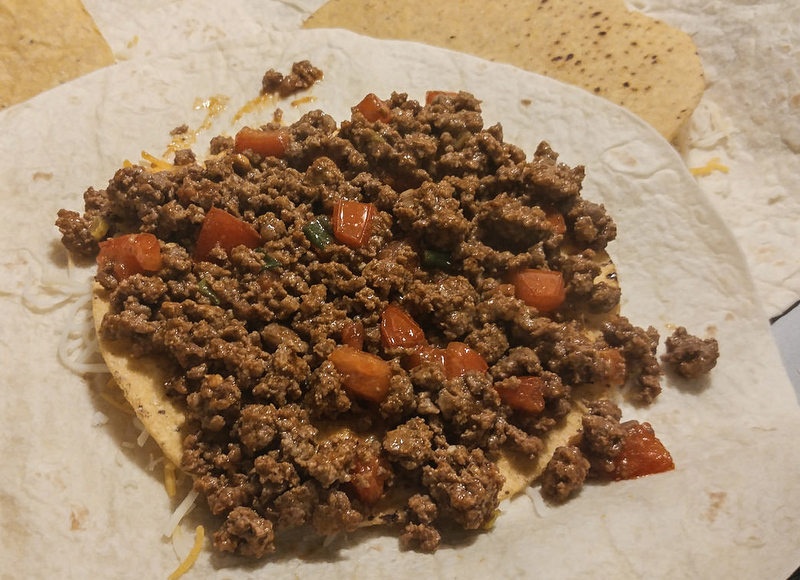 I cooked it just like I would my taco meat. After I browned it, I drained it and added taco seasoning and water. I always have a bottle of taco seasoning on hand. 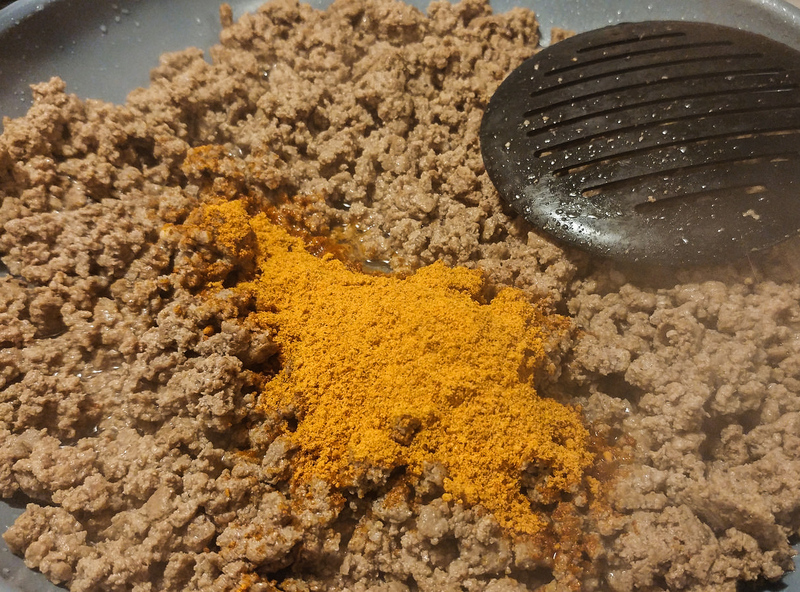 I added almost a 1/2 of a cup of seasoning, you should cook your meat and add your water and seasoning per the instructions on your taco seasoning mix. 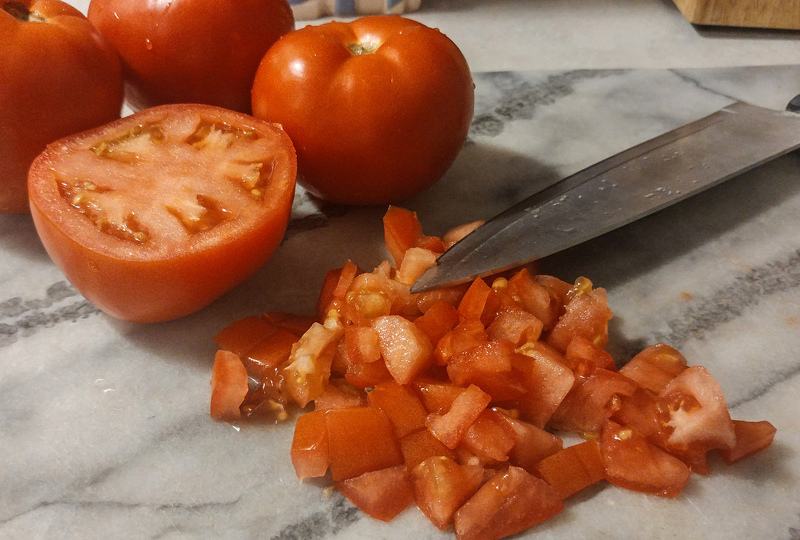 While the meat was cooking, here is what I was doing on the side! 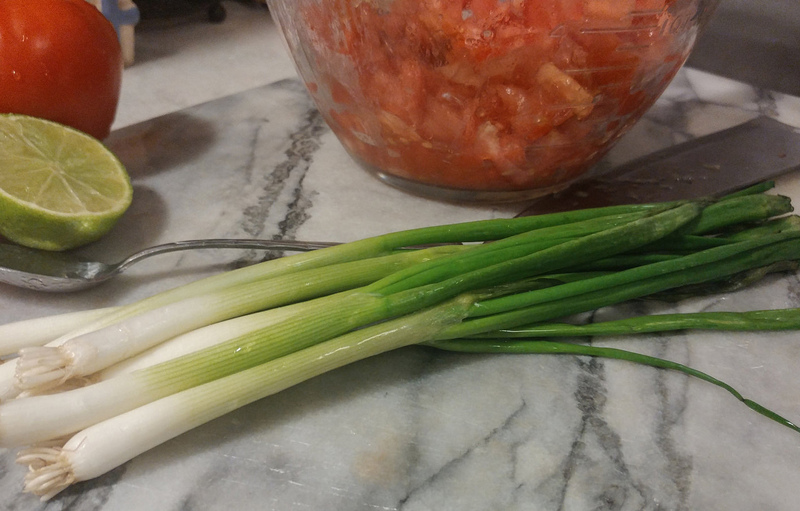 I cut up 2 tomatoes, green onion, cilantro and a jalapeno. 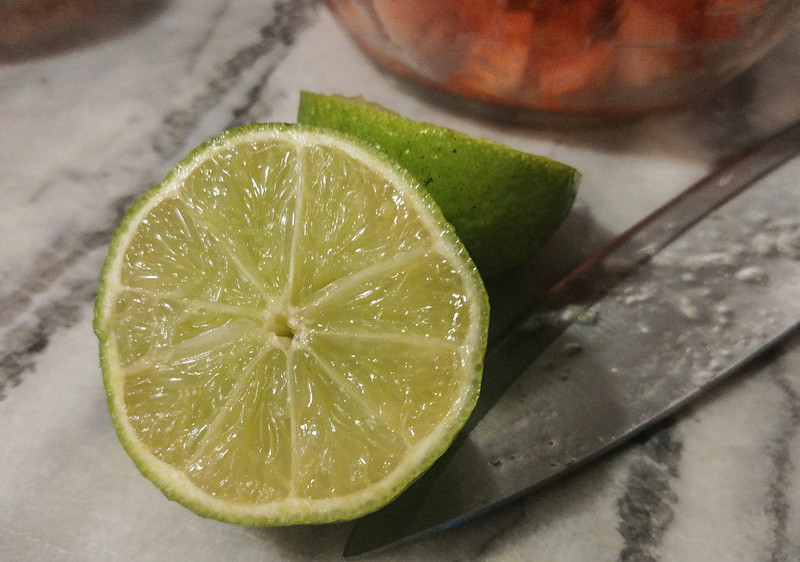 I also rolled my lime on the counter to soften it, then cut it for squeezing the juice out of it. 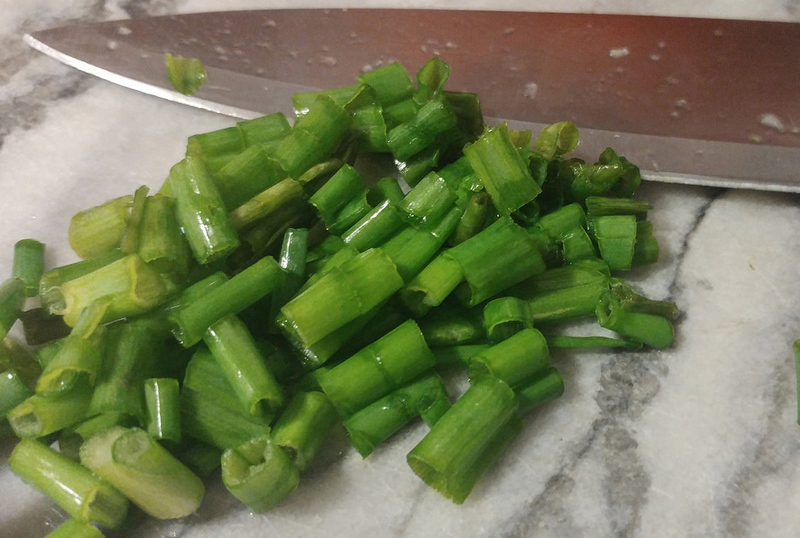 I mixed all of my cut up vegetables in a bowl, squeezed lime juice all over it, added about 1 tsp of minced garlic and sprinkled salt and pepper to taste. 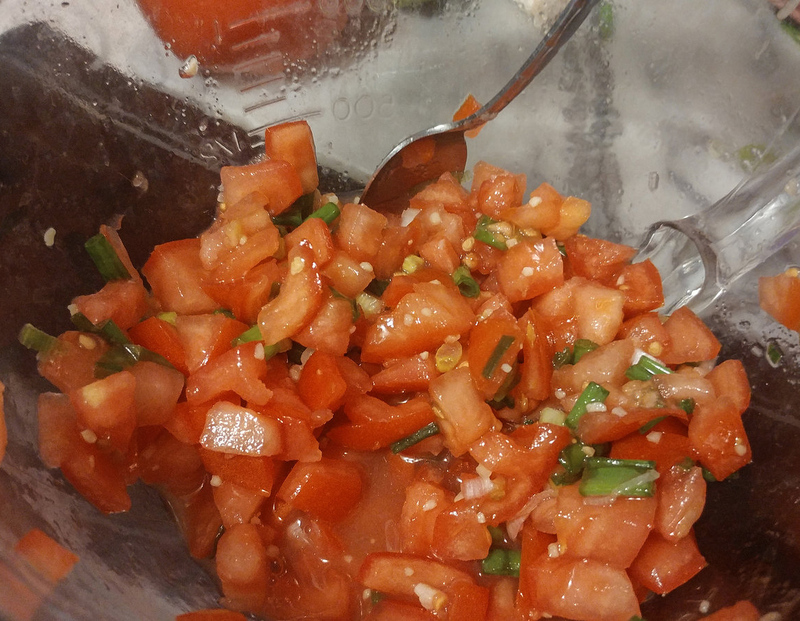 I mixed all of that up for a delicious salsa. Now that my meat was done, I added most of my salsa to the pan and mixed it with the meat. 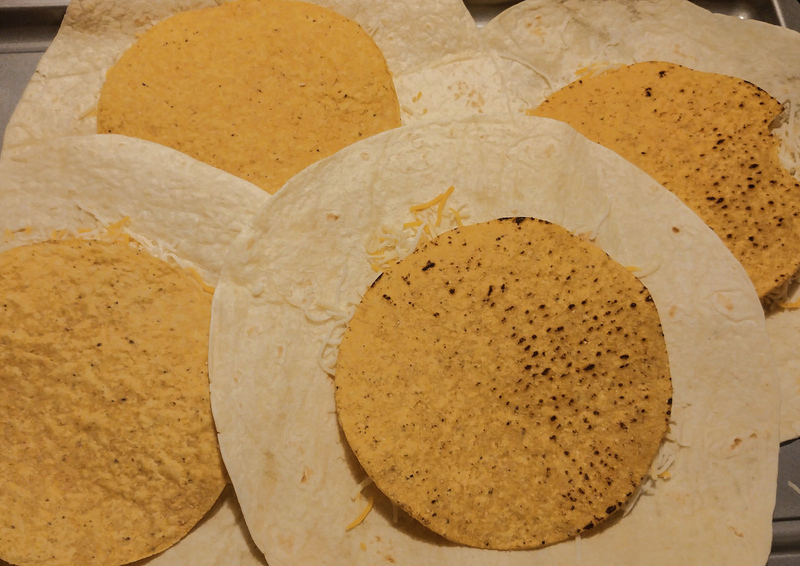 I let it simmer for about 5 minutes then I turned the heat off while I prepared my crunchy taco wraps. First I laid a soft shell down and added some cheese. 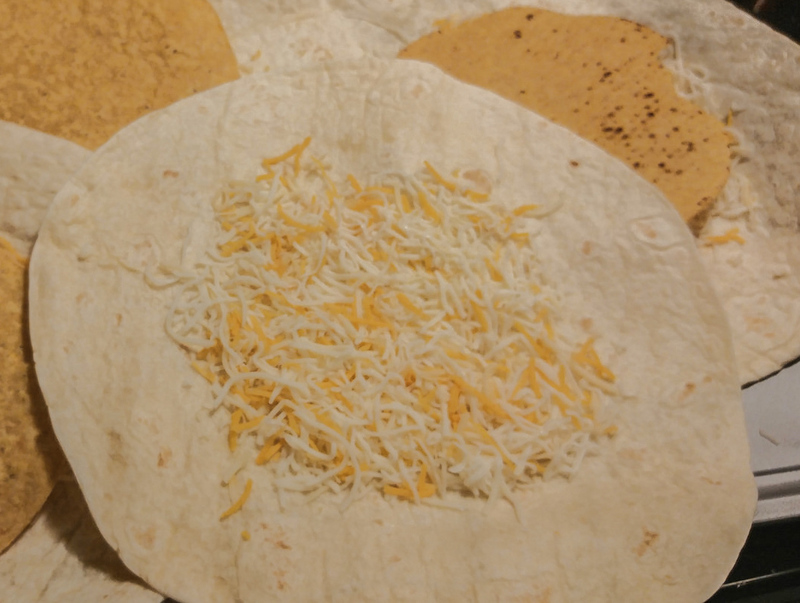 Then I put a tostada shell on top of the cheese. 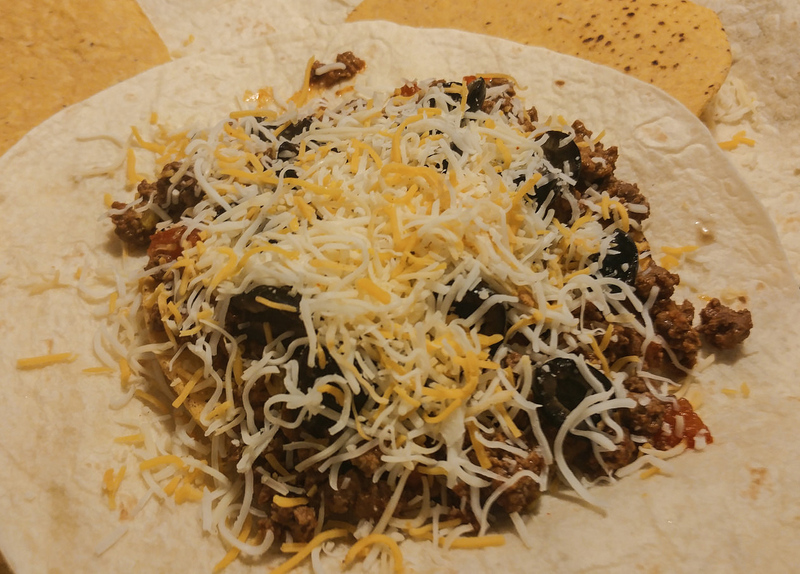 Then I scooped some of my taco meat mixture on top of that and added some black olives and more cheese. Then I put another tostada shell on top and wrapped it up! It doesn’t wrap all the way around but it stays together as long as you flip the open side down for baking. 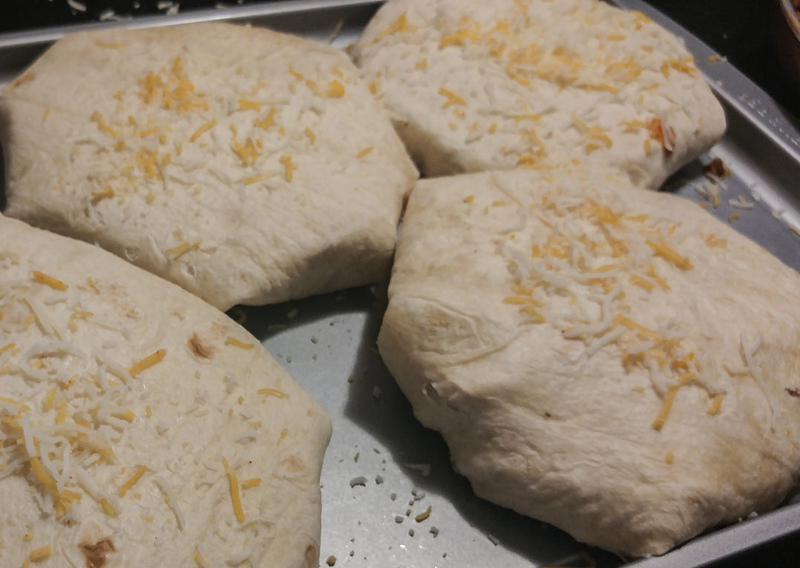 I baked them for about 15 minutes, just long enough for the soft shells to cook and the cheese to melt. 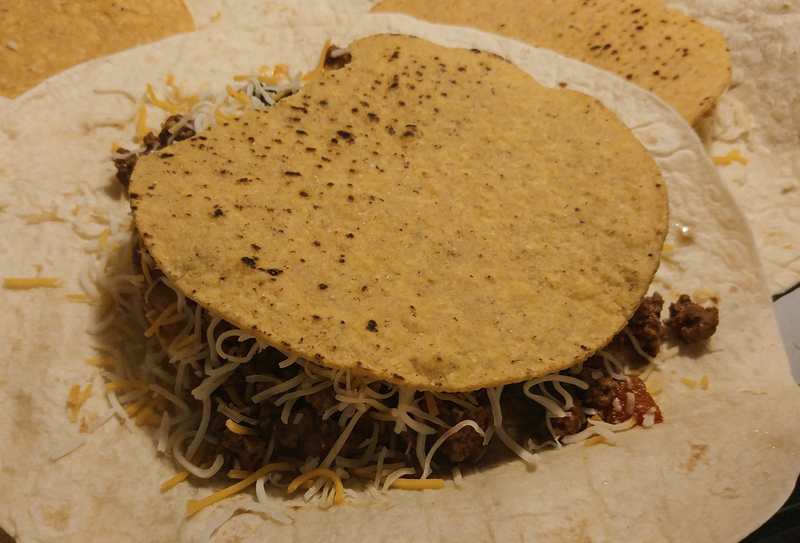 Viola, a crunchy taco wrap! 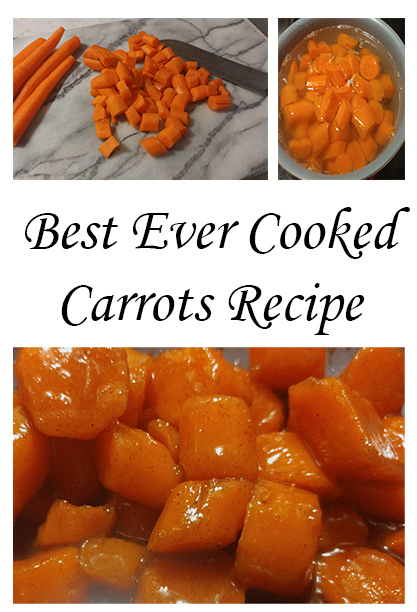 My whole family, LOVED this dish and two of us are very picky eaters!